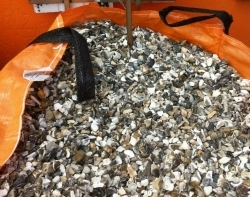 If you are looking for decorative gravel for a driveway, or you want to tidy your garden quickly and effectively, at a low cost, then decorative gravel may be the thing for you. 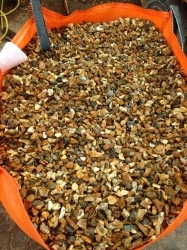 Here at Wood and Moore Ltd, we stock a wide range of decorative gravels and chippings. They all have a number of uses, from doing a driveway to a small plant pot. So if you are thinking of using decorative gravels for a driveway or decorative gravels for a garden, then pop in and see all our gravels on display. 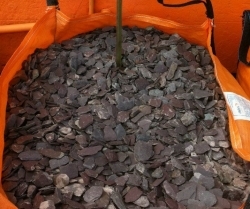 We stock lots of gravels, flints, chippings and slates in smaller bags to. 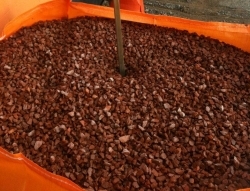 Here is a list of the decorative gravels we stock in Jumbo bags. So if you are looking for decorative gravel in the West Midlands. Driveway gravel in Stourbridge. Gravel for a drive in Kingswinford. Decorative gravel in Dudley. Then please give our office a ring or come in and see us. Like any natural product please be mindful the colour can vary from batch to batch. Moonstone 20mm is a flint. It is very hard wearing and suitable for use on a driveway. Harvest Gold or Golden Gravel is very hard wearing. Suitable for a driveway.